Market Capitalization The industry contributes about Rs 1,15,970 crores (US $ 25,771 million) to the national economy. In India dairying from very much earlier is regarded as an instrument for social and economic development. The country's milk supply comes from millions of small producers, who are dispersed throughout the rural areas. All these farmers maintain an average herd of one or two milch animals, comprising cows and/or buffaloes. Mostly ample labour and a small land base encourage farmers to practice dairying as an occupation subsidiary to agriculture. As income from crop production is seasonal instead dairying provides a stable which is a year-round income and also an important economic incentive for the small farmer. India had tremendous milk production in 40 years and has become the world's largest milk-producing nation with a gross output of 84.6 million tons in 2001. The Indian Dairy Industry has achieved this strength of a producer-owned and professionally-managed cooperative system, despitethe facts that a majority of dairy farmers are illiterate and run small, marginal operations and for many farmers, selling milk is their sole source of income. More than 10 million dairy farmers belong to 96,000 local dairy cooperatives, who sell their products to one of 170 milk producers' cooperative unions who in turn are supported by 15 state cooperative milk marketing federations. 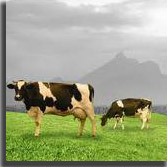 In India dairy business has been practiced as rural cottage industry over the years. Semi-commercial dairy started with the establishment of military dairy farms and co-operative milk unions throughout the country towards the end of the 19th century. Since Independence this Industry has made rapid progress. A large number of modern milk and milk product factories have since been established.The organized dairies in India have been successfully engaged in the routine commercial production of pasteurized bottled milk for Indian dairy products. The growth of Indian Dairy Industry during the last three decades has been impressive, at more than 5% per annum; and in the 90's the country has emerged as the largest producer of milk. This is not a small achievement when we consider the fact that dairying in India is largely stringent that farmers in general keep dairy animals in proportion to their free crop and also are available for family labor with little or no purchased inputs and a minimum of marketed outputs. The existence of restrictive trade policy milk in the Diary Industry and the emergence of Amul type cooperatives have changed the dairy farming practices in the country. Farmers have gained the favorable price for their milk and for their production which was essentially a self-reliant one is which is now being transformed into a commercial proposition. In India Milk production is dominated by small and marginal land-holding farmers and also by landless labourers who in aggregate own 70% of the national milch animal herd.And as the crop production on 78% of the agricultural land still depends on rain, which is prone to both drought and floods, rendering agricultural income is very much uncertain for most of the farmers. Dairying, as a subsidiary source of income and occupation, is real relief to most of the farmers in the society. Usually one or two milch animals enable the farmers to generate sufficient income to break the vicious subsistence agricultural-debt cycle. The Operation Flood which is the successful Indian dairy development programmed has analyzed that how food aid can be utilized as aninvestment in building the type of institutional infrastructure that can bring about national dairy development. Programmes like this, with similar policy orientations, may prove to be appropriate to dairy development in in India. India in the early 1950's was commercially importing around 55000 tonnes of milk powder annually to meet the urban milk demand. Most of the significant developments in dairying have taken place in India in this century only. The Indian Dairy Industry engages in the production and processing of milk & cream. This industry is involved in the manufacture of various dairy products like cheese, curd, yoghurt etc. The Indian Dairy Industry specializes in the procurement, production, processing, storage and distribution of dairy products. India as nation stands first in its share of dairy production in the international scenario. The industry contributes about Rs 1,15,970 to the national economy. The Indian Diary industry which is in the developing stage provides gainful employment to a vast majority of the rural households. It employs about 8.47 million people on yearly basis out of which 71% are women. Jobs in Indian dairy industry are mainly in the fields of production and processing of dairy products. An individual with minimum of 60% marks who has bachelor's degree course in the dairy technology can easily be availing an opportunity to work in this industry. For the graduation course in Dairy technology one has to qualify the All India Entrance Test that is affiliated to the Indian Council of Agricultural Research. After that the person can continue with his masters in dairy technology. Jobs would be for the following positions. Dairy Scientists: The main job of the dairy scientists is to deal with collection of milk and taking care of the high yielding variety of animals. Dairy Technologists: the work of Dairy technology requires procurement officers who take the responsibility of collecting milk from farmers, milk booths ad cattle-rearers. This particular procurement officer should well understand the latest technology that is applicable in maintaining the quality of milk of the process of transporting it to the desired location. 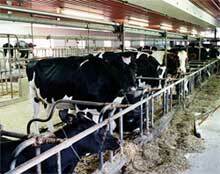 Dairy Engineers: dairy engineers are usually appointed is to set up and maintain dairy plants. Marketing Personnel: These individuals deal with the sale and marketing of milk together with milk products. Amul's success had huge impact in the creation of same structure of milk producers in other districts of Gujarat initially. Amul's experience was driving forcein project planning and execution. The 'Anand Pattern' was followed in Kaira district, Mehsana, Sabarkantha, Banaskantha, Baroda and Surat districts. As even before the setting up of the Dairy Board of India, farmers and their leaders carried out various tests of the hypotheses that explained Amul's success. All through these districts, milk producers and their leaders experienced significant commonalties and found easy, effortless ways to adapt Amul's gameplan to their respective areas. This eventually led to the Creation of the National Dairy Development Board with the clear mandate of replicating the 'Anand pattern' in other parts of the country. Initially this pattern was followed for the dairy Industry but at later stage oilseeds, fruit and vegetables, salt, and tree sectors also benefited from its success. Intensive Dairy Development Programmed (IDDP): The Schemes, modified under this programmes are on the basis of the recommendation of the evaluation studies which were launched during Eighth Plan period and is being continued through out the Eleventh Plan with an outlay of Rs. 32.49 core for 2009-10. Strengthening Infrastructure for Quality and Clean Milk Production (CMP): this is a centrally sponsored scheme which was launched in October 2003, which had the main objective of improving the quality of raw milk produced at the every village level in the India. Dairy Venture Capital Fund- this is introducedin the Tenth Fiver Year Plan to bring about structural changes in unorganized sector, which would measure like milk processing at village level, marketing of pasteurized milk in a cost effective manner, quality or the up gradation of traditional technology to handle commercial scale using modern equipments and management skills.